JMS has confirmed this on twitter! Amazing news, since it was just recently taken off of go90. Hopefully B5 will gain some popularity because of this. There are a lot of people who want to watch it but just aren't willing to shell out the $120 to buy it on DVD, and others will probably discover it through Amazon's recommendation algorithms. Yea, there is a discussion on another thread about that. Amazon may only have it available in the USA, or our region, possibly. It's about time, B5 should have been showing in syndication a long time ago. It will be great to see it again. Yeah there probably should have been a new thread started instead of discussing it in the old Go90 thread. Just to mention the most important issue. Amazon says it will be available Worldwide, unless Warner Brothers has limited availability in certain countries. As far as the person I spoke to knew it was going to be available Worldwide, but they are always beholden to where the content provider will let them show it. I don't know why WB would not want everyone in the WORLD to be able to watch Babylon 5, but who can explain many things WB has done with Babylon 5. ... but who can explain many things WB has done with Babylon 5. Well said. 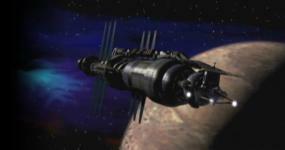 I wonder how many people who currently work for Warner Brothers even know they own Babylon 5?! My guess is it rarely comes up at meetings, but I sure would love to know if there is someone there who is always supposed to keep Babylon 5 in mind. I should be that person. SO far it looks like it is not streaming in the U.K. Anyone outside the U.S. able to stream B5 through Amazon Prime? OKAY so in other news they don't have the movies available AND NO SEASON 3!!!!! I've contacted them and they say they are working to resolve the issue, but it might be that the content provider limited access. Hopefully it is just a technical glitch. I have been watching an I can report that it looks pretty decent. Last edited by Looney; June 1st 18 at 16:56. Season 3 is available now. 'The Gathering' is part of season 1 - and it's the original cut. Yes The Gathering (1993) is part of Season One and is designated Season 1 Episode 0. The Special Edition of The Gathering (1998) is considered part of The Movie collection and you have to rent or buy it to watch it. If you are having any audio sync issues on Amazon speak up. I've only heard one person say this, but if more people are having the issue then Amazon needs to be contacted. Just heard about this, I'll check it out tonight.